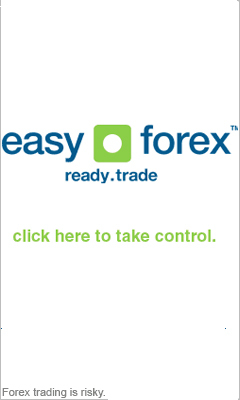 Forex trading bar charts are the most popular method for Forex trading technical analysis worldwide. They have reached their popularity because they are useful and easy to understand. The activities of the hour/day/week/month is seen as a vertical bar in the chart. Horizontal marks account for Opening and closing prices. Every time you trade in online Forex, it is recommended that you use these bar chart patterns and indicators to help you invest properly. A trend line is drawn in the bar chart to indicate the price of online Forex trends. An ascending trend line connects between the daily highs of the market. A descending trend line connects the day's low prices. If the downward trend line crosses the most recent prices - a buy signal is generated. If an ascending trend line crosses through the most recent prices, a sell option s generated. If you look at an online Forex trading bar chart that details the change in the currency over time, you will notice that after the graph goes up and down for a few times, there is a horizontal line you can draw at the lowest place the graph arrives to, and also at the highest place the graph goes. This means that after the graph has dropped several times, it never drops more than a specific place - called the support level, and after the graph rises a few times, it stops also at regular places, called resistance levels. An example of a support level is if the graph goes down to $4, then rises to $6, then goes down again to $4, and rises to $5, goes on to $4, etc. This means the support level for that graph is $4. support levels are the places on the bar chart where online Forex traders feel the stock will move higher, and buy the currency more than sell it. Resistance levels are when there are more sellers than buyers. When support levels are penetrated, and the price drops bellow the support levels, then the support level turns into a resistance level that will be the highest place the chart goes to. This is because the traders will sell that currency when it reaches the former support level in order to limit their losses and regain the former price they had. When you look at a bar chart, you can sometimes recognize patterns that can help you make the next trading decisions by anticipating how the online Forex market is going to behave. After you practice recognizing these patterns you will be able to see them automatically when you see a certain bar chart. Reversal patterns are recognized in the online Forex trading market with short and close drops and rises in the graph. A Double Top - Here you see a long rise in the bar chart, then a short drop, another rise and a drop. The prediction says the next drop will be long, and the investor can predict the currency will drop. The shape of the double top looks like the letter "M". A Double Bottom - The bar chart for this case is a long drop, then a short rise, a short drop and a rise. The final rise is predicted to raise more by the investor. The shape of the chart resembles a "W". A Head-and-Shoulders Top - This bar chart has one larger top separating the two smaller tops that are similar to the double top. The larger top is called "the head", and the two smaller tops are called "the shoulders". Head-and-Shoulders Bottom - This bar chart is the same as the previous chart only upside-down. The continuation pattern indicates a certain direction that the online Forex graph follows, that is interrupted by a shot change in direction, and sonly after continues with the previous direction. The Flag - In this bar chart continuation pattern, the change in direction of the online Forex currency consists of the same difference between the lows and the highs, and a continuing downward or upward slope of the graph. A Symmetrical Triangle - In this case in the change of direction area the line of the bar chart becomes closer as the previous direction of the chart approaches. An Ascending Triangle - This graph interruption indicates the unchanging of the high price, while the low price keeps getting closer to the high until the pattern continues. A Descending triangle - The same as the ascending triangle only with the opposite roles, here the low price is the one that stays the same. Rectangle - This is a pattern when the high and low prices stay almost the same for some time. Gaps occur when the bar chart leaps and leaves a gap between the former price of the online Forex currency and the next price. The breakaway gap continues the former trend in a different place, with a change in direction. An exhaustion gap comes right before a drop indicating the currency's exhaustion. An island reversal gap occurs when the chart suddenly breaks from the previous trend and immediately breaks again to another location. Some Economic Indicators are the causes for such gaps, but sometimes they occur spontaneously by themselves for no apparent reason.